In the last few years, an increasing number of claims alleging personal injury and property damage resulting from mold infestation problems and exposure have been brought by property owners, employees, tenants, building occupants and local governments. These claims have garnered significant publicity, resulted in surprising verdicts, and caused reactions by impacted industries. Molds are a type of fungi and are ubiquitous in the environment. Molds require moisture to survive. However, unlike most other plants, molds lack chlorophyll and thus they grow on other materials. Outdoors, molds are an integral part of natural processes, breaking down leaves, wood and plant debris. However, indoors, mold spores grow by digesting whatever organic substance they land on, including wallpaper, insulation, drywall, carpet, ceilings and roofs. Scientists have identified over 5,000 species of mold, of which around 150 can cause allergies in humans. Approximately 50 are pathogenic (i.e., they can grow inside the human body), and about 50 are capable of creating “mycotoxins”, fungal metabolites which may cause toxic reactions in healthy individuals. 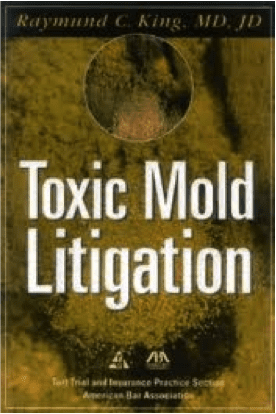 Plaintiffs in mold litigation have alleged that molds cause a variety of different illnesses and adverse health effects – from the more mundane and generic headaches, nausea, fatigue, asthma, hay fever-like symptoms (runny nose and scratchy throat) and respiratory problems, to exotic disorders with accompanying acronyms, such as sick building syndrome (SBS), fibromyalgia (FM), chronic fatigue syndrome (CFS), reactive airway dysfunction syndrome (RADS), toxic encephalopathy (TE) and multiple chemical sensitivity (MCS). a manner that is inconsistent with its original design or prescribed operating procedures. 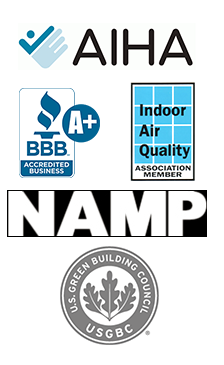 Sometimes indoor air problems are a result of poor building design or occupant activities. Building occupants complain of symptoms associated with acute discomfort (e.g., headache, eye, nose or throat irritation, dry cough, dry or itchy skin, dizziness, nausea), difficulty concentrating, fatigue and sensitivity to odors. The cause of the symptoms is not known. Most of the complainants report relief soon after leaving the building. Building occupants complain of symptoms such as cough, chest tightness, fever, chills and muscle aches. The symptoms can be clinically defined and have clearly identifiable causes. Complainants may require prolonged recovery times after leaving the building. It is important to note that complaints may result from other causes. These may include an illness contracted outside the building, acute sensitivity (e.g., allergies), job related stress or dissatisfaction, and other psychosocial factors. Nevertheless, studies show that symptoms may be caused or exacerbated by indoor air quality problems. Volatile Organic Compounds (VOCs) are emitted as gases from certain solids or liquids. VOCs include a variety of chemicals, some of which may have short and long term adverse health effects. Concentrations of many VOCs are consistently higher indoors (up to ten times higher) than outdoors. VOCs are emitted by a wide array of products numbering in the thousands. Examples include: paints and lacquers, paint strippers, cleaning supplies, pesticides, building materials and furnishings, office equipment such as copiers and printers, correction fluids and carbonless copy paper, graphics and craft materials including glues and adhesives, permanent markers and photographic solutions. Organic chemicals are widely used as ingredients in household products. Paints, varnishes and wax all contain organic solvents, as do many cleaning, disinfecting, cosmetic, degreasing, and hobby products. Fuels are made up of organic chemicals. All of these products can release organic compounds while you are using them and, to some degree, when they are stored. EPA’s Total Exposure Assessment Methodology (TEAM) studies found levels of about a dozen common organic pollutants to be 2 to 5 times higher inside homes than outside, regardless of whether the homes were located in rural or highly industrial areas. Additional TEAM studies indicate that while people are using products containing organic chemicals, they can expose themselves and others to very high pollutant levels, and elevated concentrations can persist in the air long after the activity is completed. Household products including paints, paint strippers and other solvents, wood preservatives, aerosol sprays, cleansers and disinfectants, moth repellents and air fresheners, stored fuels and automotive products, hobby supplies and dry-cleaned clothing. Health risks include eye, nose and throat irritation, headaches, loss of coordination, nausea, damage to liver, kidney, and central nervous system. Some organics can cause cancer in animals, and some are suspected or known to cause cancer in humans. Key signs or symptoms associated with exposure to VOCs include conjunctival irritation, nose and throat discomfort, headache, allergic skin reaction, dyspnea, declines in serum cholinesterase levels, nausea, emesis, epistaxis, fatigue and dizziness. The ability of organic chemicals to cause health effects varies greatly from those that are highly toxic to those with no known health effects. As with other pollutants, the extent and nature of the health effect will depend on many factors including level of exposure and length of time exposed. Eye and respiratory tract irritation, headaches, dizziness, visual disorders and memory impairment are among the immediate symptoms that some people have experienced soon after exposure to some organics. At present, not much is known about what health effects occur from the levels of organics usually found in homes. Many organic compounds are known to cause cancer in animals; some are suspected of causing, or are known to cause, cancer in humans. Studies have found that levels of several organics average 2 to 5 times higher indoors than outdoors. During and for several hours immediately after certain activities such as paint stripping, levels may be 1,000 times background outdoor levels. No standards have been set for VOCs in non industrial settings. OSHA regulates formaldehyde, a specific VOC, as a carcinogen. OSHA has adopted a Permissible Exposure Level (PEL) of .75 ppm, and an action level of 0.5 ppm. HUD has established a level of .4 ppm for mobile homes. Based upon current information, it is advisable to mitigate formaldehyde that is present at levels higher than 0.1 ppm. 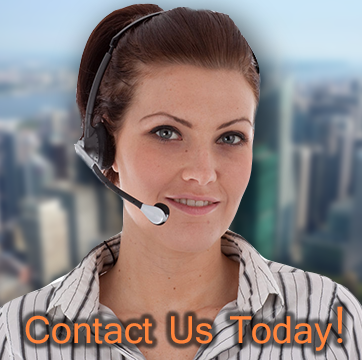 If you’re concerned about your health, make sure to contact us today.